For fast & easy help with your travel plans click here to book online or call (603) 356-5541 today! Traditional Three Bed Suites have a king bed in a separate bedroom, and two twin beds in the main living area. Most are located at the forefront of the property near the pool. *Traditional Four Bed Suites will have a king bed and a twin bed in the bedroom, and two twin beds in the main living area. These rooms are set to the rear of the property in the shade of the woods. 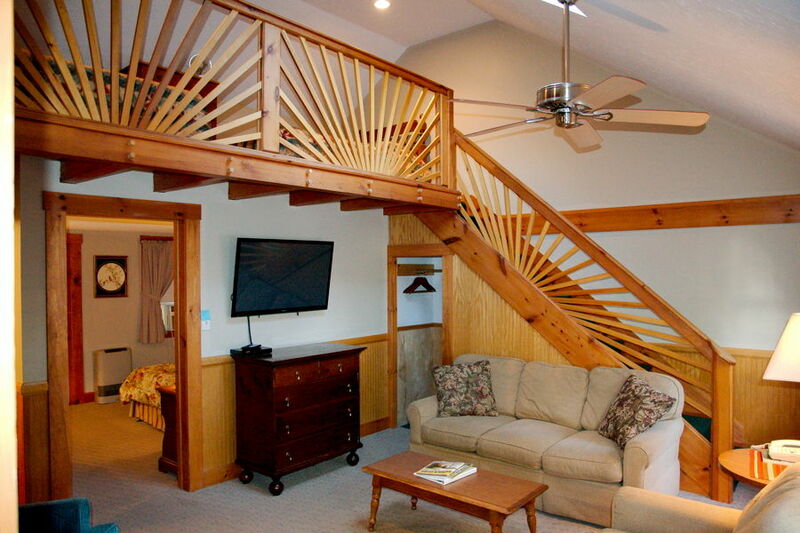 The Traditional Loft Suite has a staircase leading up to a lofted area with a double and a twin bed, and also features a bedroom with a king bed on the first floor. This room is an easy walk to the pool and restaurant. 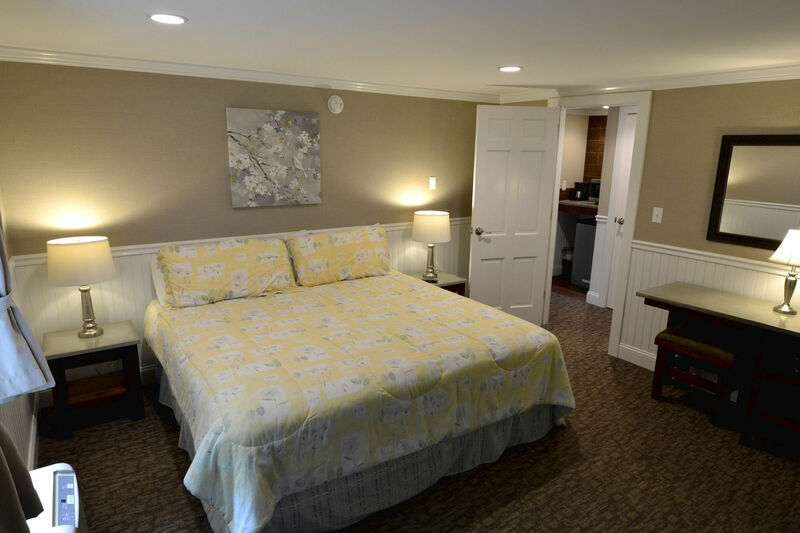 Our recently renovated garden suites are spacious and luxurious, with an open living design and two queen beds. A small wall divides the room into a sleeping area and a living area. 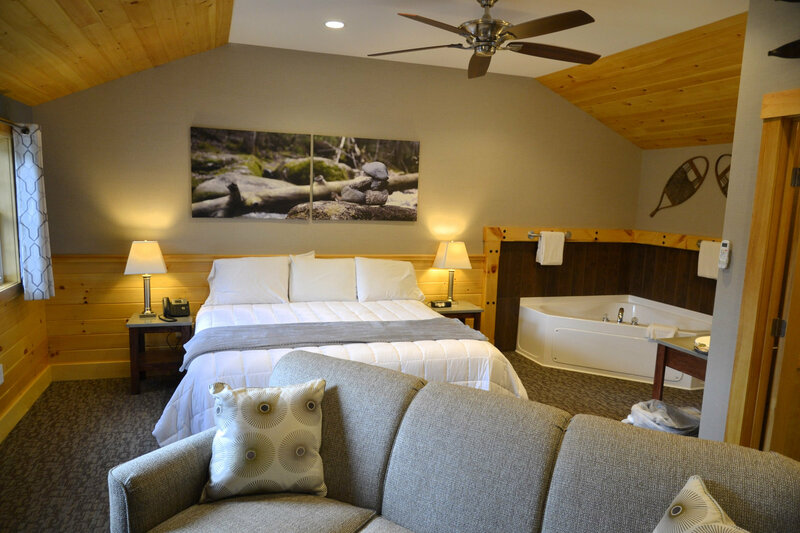 Our Lodge King Rooms are comfortable, spacious rooms in our adult-only Lodge, each with a King bed and private bathroom. 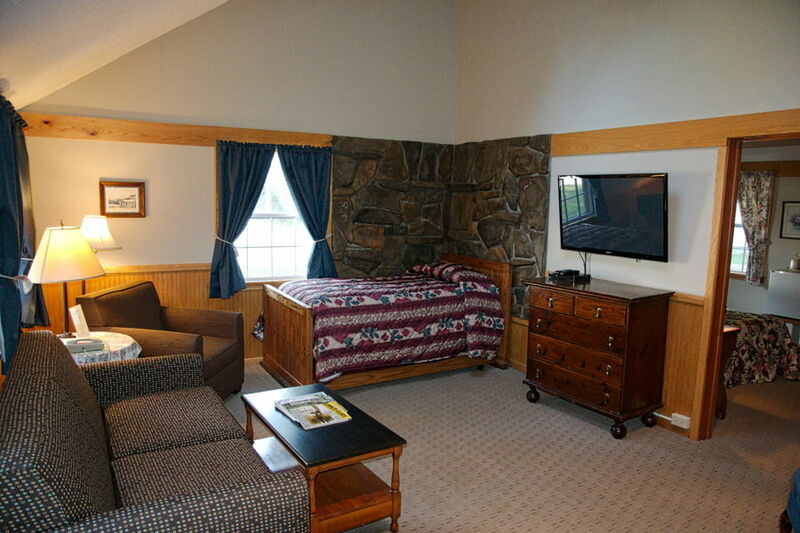 We offer two romantic Jacuzzi Loft Suites with king bed, both on the second floor of our adult only lodge. 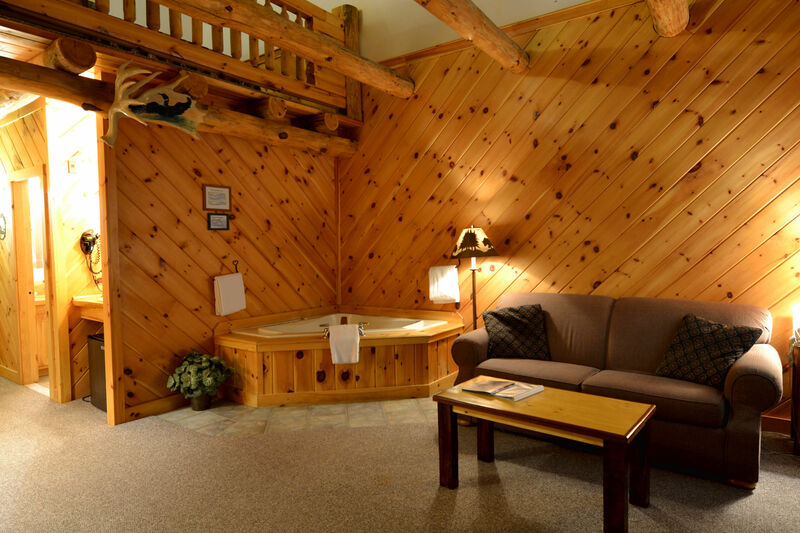 Two rooms comprise each of these four Jacuzzi suites with a king bed, which are located on the first or second floor of the back side of the Lodge. New in 2018! 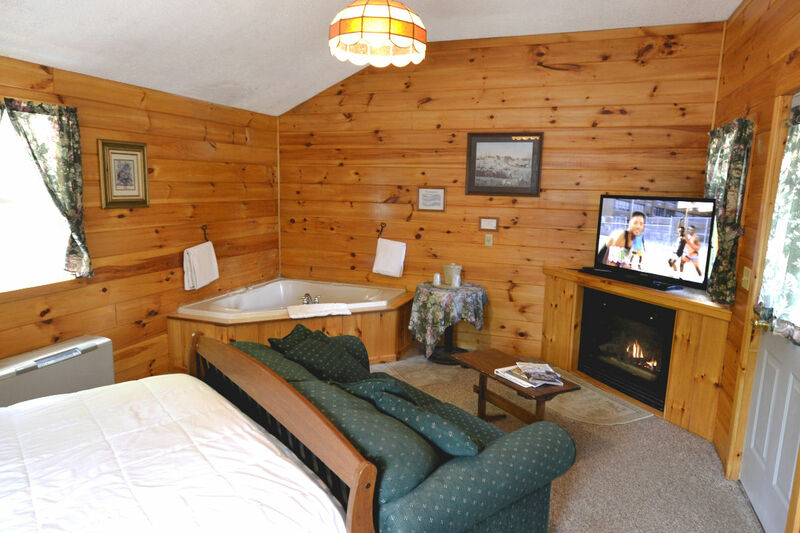 Our Jacuzzi Contemporary Log Cabin has everything the Jacuzzi Log Cabins have but with a more modern feel. 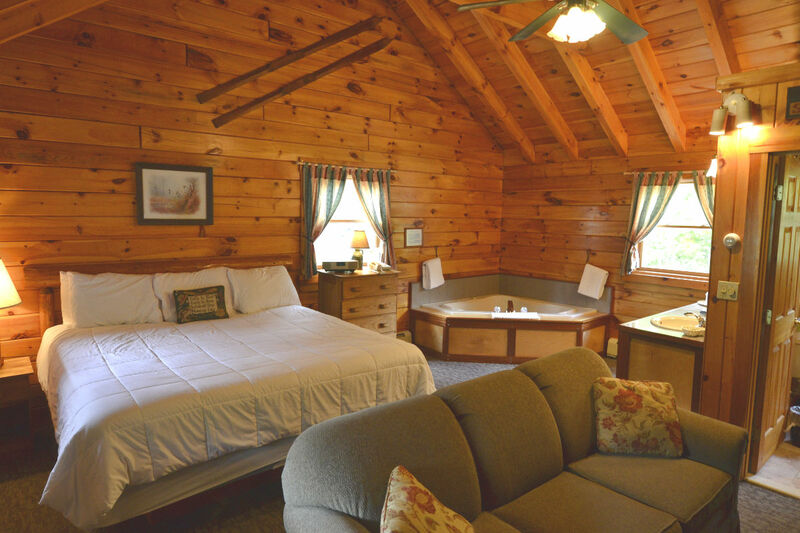 These snug one-room cottages with queen bed offer the privacy and many of the same amenities that our Log Cabins feature, at a lower rate - Capacity 2 adults. 50% deposit (100% for 1 night) required at booking. Deposit returned with a minimum 15 day notice less a $25. cancellation fee. With less than 15 days notice of cancellation your deposit will be applied toward a future stay good for one year. If you cancel with 24 hours or less or fail to show, you will forfeit your deposit. Cancellation Policy for Special Promotions, Weddings & Special Events may be more restrictive. 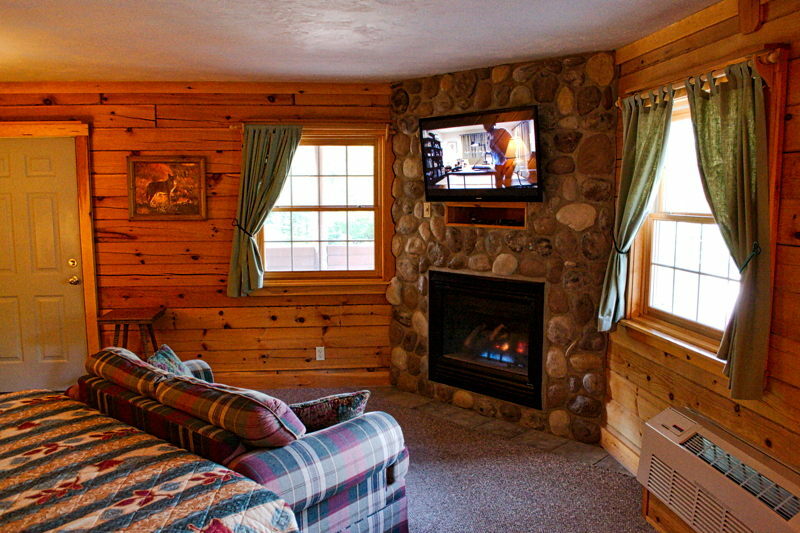 Minimum Stay: A two night stay is required, depending on the Season and/or promotion. At the New England Inn & Lodge we love children! We have 10 accommodations with your family in mind. 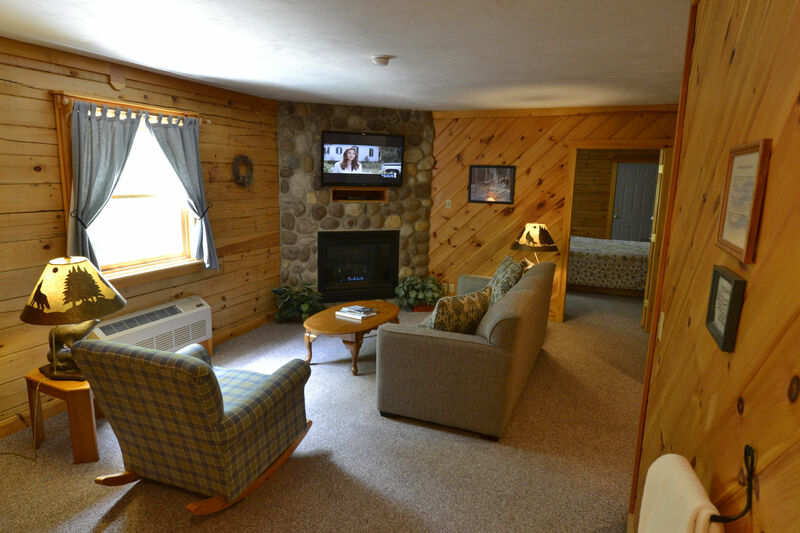 These accommodations have either 2, 3 or 4 beds, in one or two rooms that are located within an easy walk of Tuckerman's Restaurant & Tavern and our heated indoor pool. The New England Inn & Lodge is a Non Smoking property! Guests and visitors are not allowed to smoke in any accommodation or near any entrances. There is a $150. charge for violating this policy. We welcome your well behaved, well traveled dog . 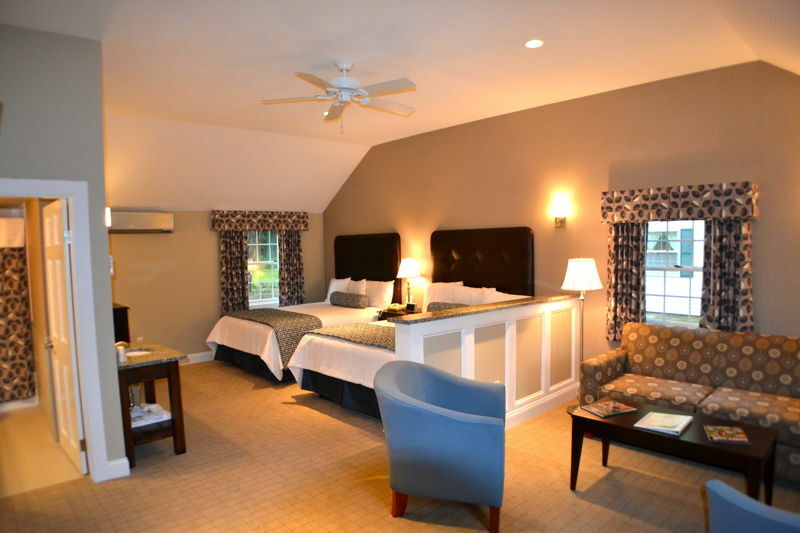 The New England Inn & Lodge has a few select rooms that are set up for our 4 legged friends. He/She can not be left in the room for long periods of time, unattended. There is a $25 per dog fee. An Inn our size uses as much water in one day as a family of four uses in two weeks! Did you know that it takes 3 gallons of water to clean each pound of laundry generated by a hotel? Figure three and a half pounds of linen per room, about the same weight in towels per guest and our 30 rooms and the numbers are amazing! The New England Inn and Lodge is acting more environmentally friendly by asking our guests to work with us. On short stays daily housekeeping is done by request, for a small fee. We have installed on demand hot water systems, energy efficient cooling and heating systems and changing to LED lighting throughout the property. © 2012-2019 New England Inn & Lodge • P O Box 100, Intervale, New Hampshire 03845 • 603-356-5541 • All Rights Reserved.